Simple tips and tricks to help you get motivated to clean your home even when you don’t feel like doing it. 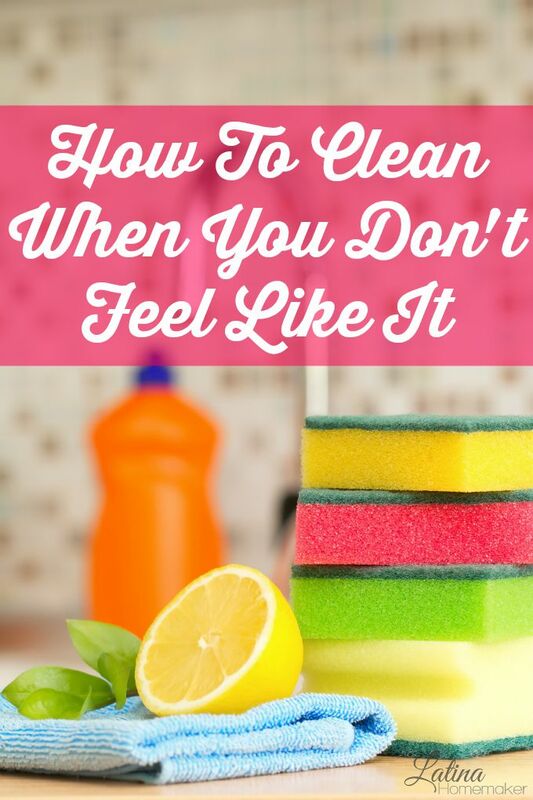 Although I blog about cleaning tips, I don’t necessarily enjoy cleaning. But what I do enjoy is having a clean house, and in order to have that, I must clean. However, it’s not my favorite task. I much rather spend my time de-cluttering and organizing a space. I also think my dislike stems from my mom. She is a clean freak to an extreme! Look up the word and her picture will be right next to it. I honestly don’t know anyone else that spends as much time as her cleaning. Growing up I saw this and it was simply too much, I just can’t do it. Yes, I want my family to enjoy a clean space, but I also refuse to be a slave to my home. So you might be wondering how I find the motivation to clean when it’s not one of my favorite things to do. Yeah, it might sound odd, but it works. When I log on to YouTube and watch one of those speed cleaning videos, it makes me want to go on a cleaning spree. Not sure what it is about seeing others clean that does it for me, but it works. Seriously, give it a try. One of my favorites is this video here. Granted her house already looks clean, but it still serves as motivation. I love turning on some music on my phone and putting on my headphones so I can crank it up. It makes the time go by much faster and even makes it a bit, dare I say…enjoyable? But that’s just the effect that music has on me. So create a fun and upbeat playlist for your next cleaning marathon. You might actually enjoy it! No one should be a slave to their homemaking. I love my family, but I’ve also made it clear that I’m not going to slave over household chores while they lay back and watch. Instead of trying to do it all yourself, get the kids and your spouse to help. 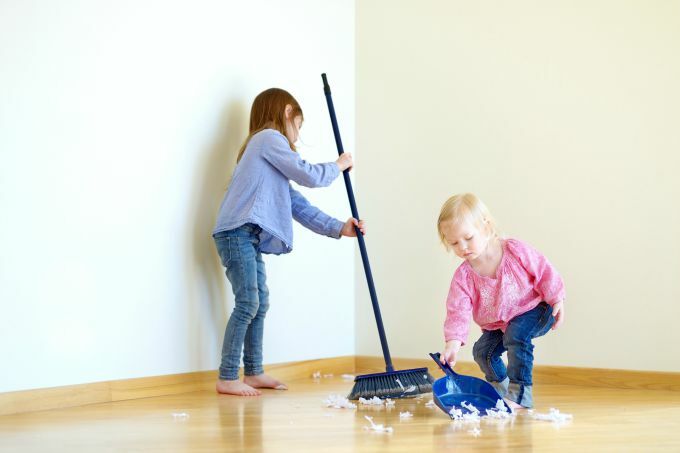 Not only will your house get cleaned up quicker, your family will also appreciate what you do and take ownership of their space. Divide tasks according to their abilities and let them handle it. I know it’s hard, but don’t micromanage them. Just let it go and they’ll get better with time. I love podcasts. Scratch that, I am obsessed with podcasts. I’m not a big TV gal and prefer reading a book any day, but podcasts are my weakness. I like pretty much anything that discusses business topics, simple living or encouragement for moms. There are so many podcasts out there, that you can easily find a handful to enjoy. I love listening to these when I’m doing redundant tasks like dishes and folding laundry. I’ve heard experts say to start small and gain momentum from there. I’ve even suggested this when it comes to de-cluttering your space. But with cleaning, I find that tackling the hardest task first helps me get going. Once it’s done I feel like I can conquer anything. Another advantage is knowing that everything you do afterward will be much easier. Don’t overcomplicate something that is not fun to begin with. Cleaning should be simple. 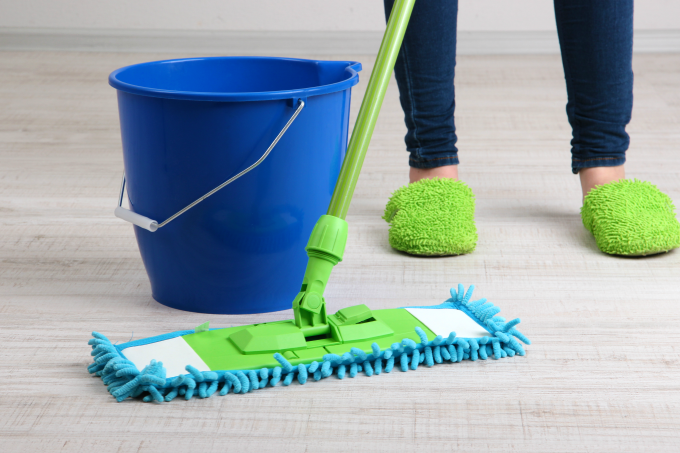 Don’t purchase an arsenal of cleaning supplies that will need to be hauled around while you clean. Choose products that serve multiple purposes. Better yet, make your own natural cleaning products. I can easily clean my entire home with 2-3 products. I also keep cleaning cloths that can be used to wipe various surfaces. I’m a huge fan of de-cluttering spaces and I’m sure many of you know that by now. However, during your cleaning routine, you should not be focusing on de-cluttering. People often get the two mixed up and feel like it’s all the same thing. Trust me it’s not. De-cluttering can be time-consuming and requires your full attention. Don’t start purging as you clean or you’ll feel like you’ll never get done. Need to purge, set a separate day aside for that. « Join the TurboTax #TurboTaxGivesYouMás Twitter Party on 2/7 @8PM EST! When my kids were little, & I started them with the cleaning routine, I would rotate which chores they got each week. For example, if you divide your house into the number of people you have helping, perhaps one son would do the bathroom week 1, husband with do it week 2, other son did it week 3, and I would do it week 4. That way I know at least every other week the room was cleaned somewhat up to specs. The boys eventually learned. Now they’re cleaning their own houses.